We ask that critical safety tests be performed at Diablo Canyon Nuclear Unit One during the refueling outage that will begin on or about February 3. This shutdown provides the perfect opportunity to examine the facility without unduly halting operations. We do not ask at this point that the reactor be permanently closed – only that it be tested to see if it is safe to restart. Before Unit One is reloaded with nuclear fuel, the key evaluations must be finished and subjected to public hearings. The final decision as to whether to reload Unit One with fuel or restart it must be made by the state in conjunction with the bankruptcy court. As you know, after meeting with CPUC, local community and environmental groups, unions, and state officials, PG&E agreed to not seek license renewals for Units One & Two in 2024-2025, thus guaranteeing the plant will shut in six years. In the course of this negotiation PG&E admitted that renewables could replace Diablo’s capacity. EMBRITTLEMENT: In 2005 the Nuclear Regulatory Commission warned that Diablo Unit One was among the five most embrittled reactors in the US. The intense heat, pressure, and radiation in a nuclear reactor can cause critical metals and welds in the pressure vessels to lose their resiliency should cold water be poured in to contain a runaway reaction, embrittled components can shatter, leading to catastrophe. Using “coupons” (bits of metal inserted into key parts of the reactor for precisely this testing purpose) for destructive analysis, the degree of embrittlement at Unit One can be easily and cheaply tested while it is down for refueling. Unit One was built with an inordinate amount of copper, which may make it particularly vulnerable to embrittlement. The test results must be made public and subjected to a public hearing. COMPONENT CRACKING: Heat, pressure and radiation can also cause cracks in a pressure vessel and other key components. Given Unit One’s age, an inspection is imperative. Ultra-sound devices can be cheaply and easily deployed to look for cracks while the reactor is shut. Again, the findings must be made public and subjected to open hearings. DEFERRED MAINTENANCE: Since perhaps as early as 2010, PG&E has deferred repairs and component replacements on the assumption that Diablo would close when its license expires in 2025. The state, bankruptcy court, and public must see exactly what PG&E has not done and does not plan to do in the six years remaining on its license. WASTE MANAGEMENT: It appears PG&E plans to store Diablo’s extremely radioactive spent fuel waste in Holtec casks that are less than one inch thick. (By contrast, Germany stores its spent fuel assemblies in casks that are 19 inches thick). Cracking and mishandling of dry casks, issues that have arisen at other nuclear sites including San Onofre, make it essential to fully evaluate waste management at Diablo. This, in particular, demands public scrutiny. SEISMIC VULNERABILITY: Since Unit One was designed, a dozen earthquake faults have been discovered surrounding Diablo. 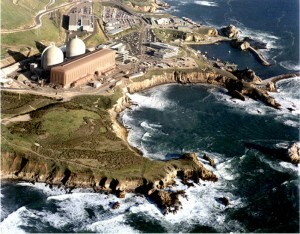 NRC site inspector Dr. Michael Peck, in residence at Diablo for five years, warned the reactors might not withstand a credible quake. The Nuclear Regulatory Commission buried Dr. Peck’s initial memo and transferred him to Tennessee, but he has written publicly about his concerns. The distance from Diablo to the San Andreas fault is half the distance from Fukushima to the epicenter of the quake that destroyed it. Dr. Peck (who has left the NRC) must be publicly debriefed and the seismic issues at Diablo subjected to an open hearing before Unit One is reloaded. PG&E’S COMPETENCE: PG&E is entering bankruptcy while implicated in eight deaths in San Bruno, unimaginable destruction in northern California, and much more. The company’s financial and managerial abilities to operate a large nuclear facility like Diablo are in serious question. The company must now depend on the state for massive legal and financial assistance. In return, the state has the right and responsibility to take charge of the safety challenges at Diablo and to decide whether it is safe to reload or re-start. The above-mentioned issues do not depend on whether one supports or opposes nuclear power; they simply address the ability of the state’s largest power generator to operate safely. USEFUL? At this point California is awash in electric power supply and probably does not need Diablo’s capacity. Nor is it likely the electricity produced at Diablo can economically compete with the onrush of renewables. In fact, PG&E has admitted that all Diablo’s power can be replaced by available renewables. Furthermore, because it cannot easily shut off and restart its power to meet fluctuating demand, Diablo’s presence on the grid can be a burden, resulting in the temporary shutdown of cheaper renewable facilities. Before Unit One is re-loaded with fuel, the state and bankruptcy court must hold public hearings to evaluate whether there is any economic need to do so. Thanks so much for your time and attention. We look forward to your response.